As time progresses, some people are looking forward to the holiday season whereas others are simply waiting on more news from Ozzy Osbourne’s new solo album and we have some for you here today. Once the Black Sabbath tour comes to an end, Ozzy has already discussed the fact that he didn’t want to retire which started the rumours of a solo album and things have snowballed ever since. 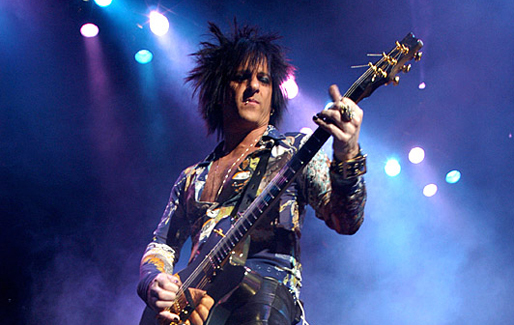 In a recent interview, he has now provided an update by saying that he has been writing with Billy Morrison and Steve Stevens – whilst Morrison co-wrote Billy Idol’s most recent album, Stevens is Idol’s guitarist. Furthermore, he added that they have been working on a song called ‘Crack Cocaine’ and that it had a bluesy feel to it. Of course, the interviewer followed this up by asking when it would be available to fans but Ozzy didn’t quite want to bite at that one. However, he did note that he tried working Sabbath with solo work with Ozzfest and it didn’t quite work. For fans of Ozzy, this doesn’t mean that the solo album will never come because his wife and manager, Sharon Osbourne, has previously stated that he will continue as a solo artist once the Black Sabbath tour comes to an end. According to Sharon, the solo album won’t be within the next year but shouldn’t be too far away as she can’t see him performing past 70. As we have discussed previously, Ozzy himself has always stated that he wants to continue for as long as possible and that he just doesn’t want to stop. Released in June 2010, Scream was Ozzy’s most recent solo album which reached number twelve in the UK Albums Chart and number four in the US Billboard 200. Since then, he has been working on the tour with Black Sabbath as well as their most recent album ’13’. When the album finally does come out, it will be Ozzy’s twelfth solo album since the very first, Blizzard of Ozz, back in 1980. With no album expected until at least late 2017, this is the longest the fans have ever had to wait in between albums so they will certainly be excited to hear this most recent news. In addition to the writing, there have also been suggestions that his style of music may alter for this album so there are certainly exciting times ahead. If you have missed Black Sabbath so far, there are still opportunities to see them this month. If you don’t have a chance to see them this month, Ozzy has already hinted at touring the new album so there is always something to look forward to!